This beautiful island nation has many attractive places to retire. Most English probably have good ideas of where to they would like to retire in their own country. But even an American, person from the UK, or a member of the Commonwealth who retires to England will be very familiar with place and people names. Another advantage is being able to speak more or less the same language. 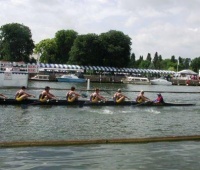 Henley-on-Thames is a charming city that is home to the most famous crew regatta in the world. It makes for a great place to retire because it is fairly close to London. There are many small cities and villages both on the coast and in the countryside that are great places to retire. For those with a big budget the exceptionally beautiful villages in the Cotswolds make and exceptionally nice retirement choices. England is wonderful country for retirement for many reasons. There is great beauty and millennia of history everywhere. Restaurants deliver top notch food, and the pubs are fun. The gardens are some of the most famous in the world. The economy is strong. Establishing residency and visa. Establishing residency in England is not as difficult as some countries, depending on your nationality. It is relatively easy for residents of Great Britain, the Commonwealth, and the European Union to retire in Engand. Even if that is not your case, you can apply for a 5 year residency permit as Retiree with Independent Means. You can also qualify for a “permission to remain” residency. Here is the link to the Extension Form. You must be able to able to prove that you can support yourself, and successfully pass a personal history questionnaire. There is a substantial fee for that extension, £3672 for 1 person and a dependent. You can always apply for a standard visa that normally allows you to live in the UK for up to 6 months. Here is a link to the UK Immigration Service. Medical. Modern medical facilities and highly skilled medical practitioners are available in England, but due to high demand, access to medical specialists and admissions to hospitals for certain non-life-threatening medical conditions may result in extensive waiting lists. Residents of the UK and the European Economic Area are generally entitled to free medical care for most services. Some other countries have reciprocal agreements and they do not have to pay. If you are from some other country do not assume your medical insurance will be valid in England (Medicare is not accepted here). You should consider buying health insurance, possibly as part of your travel insurance package. Taxes. Residence status for English tax purposes is controlled by the number of days you are present in England during a given tax year. You will be considered a resident if you spend more than 183 days in a tax year. There is a complicated distinction between "Resident" and "Ordinarily resident". There is also a distincition between domicile vs. Residence. You should consult a tax professional if you decide to reside here to determine how the laws apply to you. Cost of Living. The numbeo.com price comparison (CPI plus rent) shows the entire United Kingdom with an index of 60, vs. the U.S. with 57. The site estimates that it is 6% cheaper to live in London than it is in New York City. The price of an apartment in London is more expensive than in New York by 30% or so, although rents are less. Weather. Engand has better weather than you might think. The warmest month of the year is July, where London has an average temperature of 19°C (66°F). The coldest month is January at 7°C (45°F) Locals get outside throughout the year. although the days are short in winter. Best Places to Live. Engand has many nice villages, towns, and cities of all sizes to retire in. The coastal and areas are especially beautiful. See the list of English towns which we have reviewed in the top right column. Chester is an old Roman town with a racecourse and beautiful walls. Pluses and Minuses. The lifestyle is very attractive as the country is filled with interesting people. The scenery is great as is village life. The people enjoy a healthy lifestyle.